The cutting table for die ejection rubber. The quality of your dies is more and more connected with the ejection rubber. Up to now water jet cutting systems supplied satisfactory quality at a quite expensive price. Using RubbA with its mechanical blade system expressly developed for the die making industry top quality cut level is guaranteed without maintenance and service costs of a water jet system. 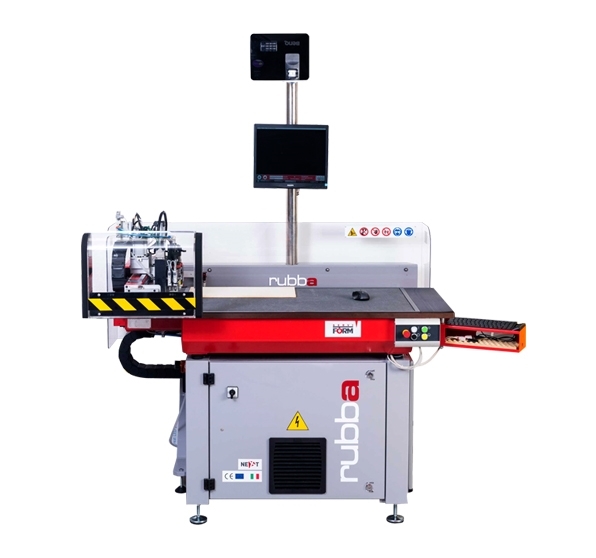 RubbA is supplied with a high luminosity beamer: projecting the cutting paths on the rubber sheet the operator can easily reduce rubber waste.